Well, folks. It’s ALMOST here. 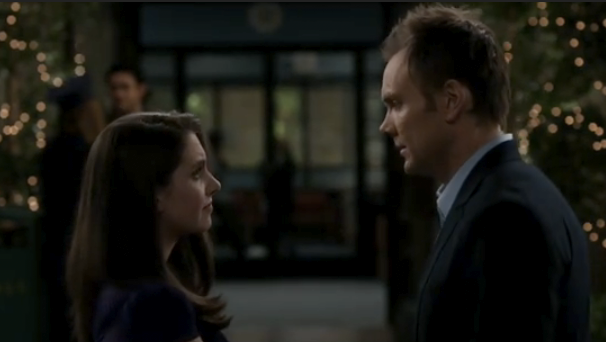 That’s right – October 19th is just a mere week away and that means that Community is almost back in its 8PM timeslot on NBC. Really and truly, we’re coming back home. In celebration of the little-show-that-could’s return, I decided to spend the week leading up to the premiere doing something special for you all each day. After all, YOU are the real reason I am even writing this blog. And this show is what brought us all together. It’s only fitting that I should celebrate somehow! I asked last week for you all to tweet, DM, or comment on a post and give me some Community superlatives you’d like to see answered each day. I got a lot of great suggestions and narrowed them down to seven – one per day – to answer! Ready to kick off the week? Click below the cut to find the answer to my first question! You know, I got this question in my e-mail yesterday, just after I had wrapped up my plan for the rest of the week as far as questions and answers go. But when I saw it, I immediately was struck with Annie’s line from “Pascal’s Triangle Revisited.” And so I knew I had to answer this question. Those words are the title of the song that accompanies this scene and many more scenes throughout the span of the show. Really, this is the epitome of Community, summed up in a single line – Greendale is where these seven people belong. Sure, it is not where they wanted to end up. None of them actually HOPED they would land in community college. But they did. And for Annie to utter this line, to accept the fact that Greendale is the place where she most fits in, is most accepted, and feels an utter sense of belonging? Well, that’s beautiful. And the theme of this line and scene and score – acceptance and belonging and finding your place in the world – carry the rest of the series. Because Jeff learns that Greendale, this place he called a prison and tried to cheat his way through at the beginning of the series, is actually the ONE place in the world that accepts him just the way that he is. It’s the one place in the world that accepts them all – this wacky, weird, insane study group – the way they are and teaches them more than they could have ever imagined a community college would. Annie says that Greendale is where she belongs – it’s where she’s needed, where she feels at home. And you know what? I can’t think of any other line in the series that is as perfectly poignant and all-encompassing as that.